“Cower, mediocrity – I am here!” barks Edna Mode, as she swoops onto the set of Harper’s BAZAAR’s Autumn/Winter fashion shoot. Known for her blunt and prickly demeanour, the half-Japanese, half-German designer commands the room with a kind of steely-eyed determination that belies her diminutive stature. “Attitude!” she shouts, while model Sara Sampaio saunters by, looking like she could serve coffee off the corners of her supersize red coat. “Let us begin!” Edna says, snapping her tiny fingers and hopping onto a director’s chair that’s almost twice her size to discuss the season’s best new looks with BAZAAR. HB: Hello, Edna! You look fabulous. Can you tell us what – and who – you are wearing? EM: I wear myself, dahling. As no one else can. Let’s talk about your Bazaar shoot. What were some of your inspirations? My shoot was no more bizarre than others. What was bizarre about it? I reject that classification. “The March Jacobs look I styled”? Dahling, let us not devolve into a dissection of who styled whose look. I am above quibbling about credit. Marc is lovely and very talented, but he knows who influenced whom. Let’s put it another way: How do you feel about the revival of oversize ‘80s proportions for fall? When it comes to fall fashion, are shoulder pads the new black? First of all, let us agree to ban referring to anything as “the new black”until the end of time. Black is timeless, so it’s like saying so-and-so is “the new timeless.”[Raises voice] Timelessness by its very nature cannot be old or new – it is timeless! [Pauses] What was the question? Are neither here nor there, dahling. Depends on the designer, they can do in or out of fashion. But they are not as timeless as black is. We couldn’t help but notice that someone slipped a cape into the Michael Kors look. 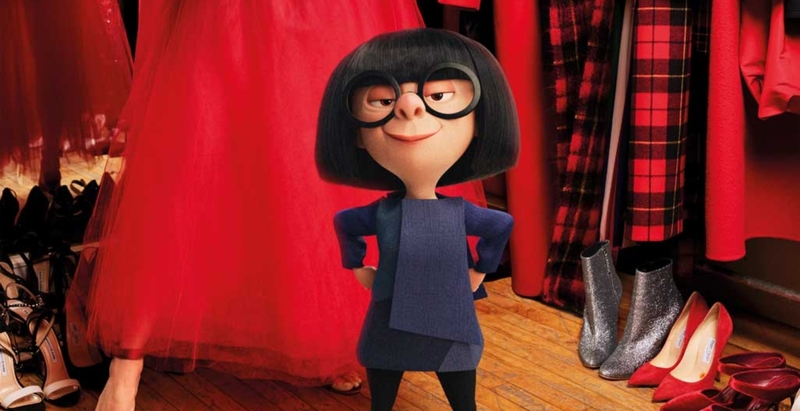 Have you changed your “no capes!” policy? Certainly not. If one is going to an opening or a certain sort of social affair, a cape can work, I suppose. But if one is moving quickly in violent situations, a cape is beyond idiotic. My views on capes are well-known. Asking me about them is like asking Isadora Duncan how she felt about scarves. Style wise, you’ve always been ahead of the curve. Can you tell us who are your fashion icons and why? I am my favourite icon. The why is self-evident. What do you think is the most important trend for fall? For me, dahling, once a trend is identified it is always over. Timid and hackneyed followers come rushing in, assured of their safety from risk. Real artists are always looking for the spot that is sweet – “ahead of the curve,” as you suggest – where the timid fear to go, where failure may happen, but success promises eternity. To never give advice about style. Do you think there’s enough diversity on the runway? If not, what would you like to see more of? What are your thoughts on the “celebrity designer”? I don’t know what that is. Sounds vaguely oxymoronic to me. Celebrity itself is beneath thought. At Gucci, Alessandro Michele sent models down the runway carrying copies of their own heads. Are severed cyborg heads the new status accessory for fall? We must be patient with Alessandro. He wants to work in the movies. Drones carrying handbags kicked off Dolce & Gabbana’s fashion show. Has humanity become passé?